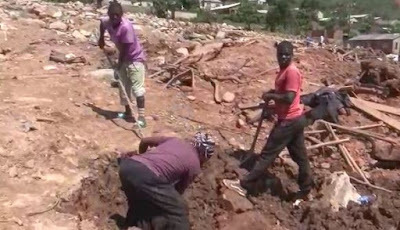 More bodies continue to be exhumed in the rubble left behind by Cyclone Idai in Ngangu with those missing their loved ones still optimistic they will recover them dead or alive. While this has brought some consolation, she has remained a troubled soul as she is still in search of her beloved daughter. The rubble maybe high and deep making discovery of her daughter’s remains difficult yet she is convinced she will give her daughter a decent burial.